Ian Curtis was an English singer-songwriter and musician who rose to prominence as the lead vocalist and frontman of the post-punk band Joy Division. His strong baritone vocals and murky songwriting style gained much critical acclaim and he also has had a moderately successful but brief solo career. Curtis is often credited as one of the progenitors of gothic rock. 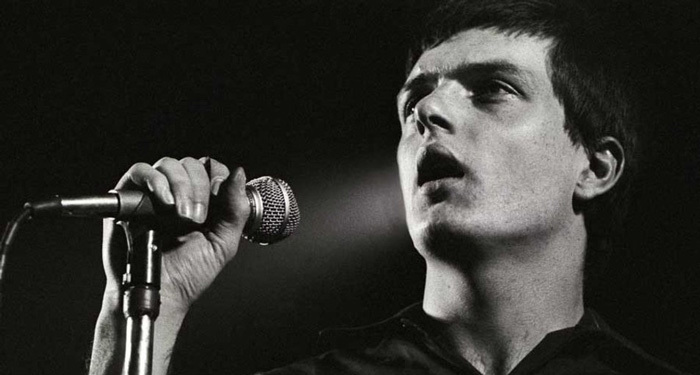 Born “Ian Kevin Curtis” in Lancashire, England in 1956, he was a naturally gifted poet from an early age. A bright student, Curtis received a scholarship at the young age of 11 but he dropped out of to pursue a career in art, literature and music. Ian Curtis joined Joy Division as the band’s lead singer and lyricist in 1977. Originally called “Stiff Kittens” and then “Warsaw”, the group was formed by bassist Peter Hook and guitarist Bernard Sumner. The band started out as a guitar-heavy outfit, before moving on to a richly textured, synthesizer-driven musical direction. An intelligent, introverted lyricist heavily inspired by the dark, artsy rock of The Velvet Underground, Curtis had a charismatic, commanding stage presence. He often shocked audiences with onstage frenzy and wild antics. By early 1979, Joy Division adapted a dark, gothic rock sound and released their debut studio album, Unknown Pleasures, in 1979. Recorded at Strawberry Studios in Stockport, this energetic post-punk record would find Curtis vamping through stark, gloomy and disturbing themes on hit singles such as “Transmission” and “Atmosphere”. Released two months after Curtis’ suicide in 1980, the band’s second studio album, Closer, cemented their reputation as one of the most prominent rock bands of their generation. Their biggest commercial hit was the posthumously released synthpop classic “Love Will Tear Us Apart”. Curtis committed suicide at the age of 23 by hanging the night before Joy Division’s first American tour. He hung himself in the kitchen of his house in Macclesfield, Cheshire, which he shared with his girlfriend and bandmates. Curtis was cremated at Macclesfield Crematorium and his ashes were buried. Ian Curtis was posthumously inducted into the UK Music Hall of Fame as a member of Joy Division in 2005. Ian Curtis married his school friend, Deborah Woodruff, in 1975. He suffered long battles with epilepsy and depression. Curtis committed suicide in 1980, by hanging himself in the kitchen. He was only 23 years old.